Influenza viral infections cause a broad array of respiratory illnesses that are responsible for significant morbidity and mortality in children. Influenza viruses are classified as Orthomyxoviridae. They are large, single-stranded RNA viruses with a segmented genome encased in a lipid-containing envelope. The two major surface proteins that determine the serotype of influenza, the hemagglutinin and neuraminidase, project as spikes through the envelope. Influenza viruses are divided into three types: A, B, and C. Influenza types A and B are the primary influenzal pathogens and causes of epidemic disease. Influenza type C is a sporadic cause of predominantly upper respiratory tract disease. Influenza types A and B are further divided into serotypically distinct strains that circulate on a yearly basis through the population. Influenza A viruses have a complex epidemiology involving animal hosts that serve as a reservoir for diverse strains with potential for infecting the human population. The segmented nature of the influenza genome allows reassortment to occur between an animal and human virus when coinfection occurs. Thus, potentially any of 13 hemagglutinins and 9 neuraminidases residing in animal reservoirs may be introduced into humans. In addition, avian hosts that are migratory may be responsible for spread of disease. Influenza B has a lesser capacity for major antigenic change and no identified animal reservoir. When a virus identified by a novel and serologically distinct hemagglutinin or neuraminidase enters the population, there is potential for a pandemic of influenza with excess morbidity and mortality on a global scale in a largely nonimmune population. The most dramatic pandemic in recent history occurred in 1918 when influenza was estimated to have killed more than 20 million people. More common is the almost yearly variation in the antigenic composition of the surface proteins, which confers a selective advantage to a new strain and results in localized epidemics of disease with mortality largely confined to the elderly and to those with underlying cardiopulmonary disease. Each year's strain is novel for infants because they have no pre-existing antibody except for maternally transferred antibody in the very young. The attack rate and frequency of isolation of influenza is highest in young children. As many as 30–50% of children have serologic evidence of infection in a typical year. Children undergoing primary exposure to an influenza strain have much higher and more prolonged shedding of the virus than adults, making them extremely effective transmitters of infection. Influenza is a disease of the colder months of the year in temperate climates; spread appears to occur by small-particle aerosol. Transmission through a community is rapid, with the highest incidence of illness occurring within 2–3 wk of introduction. It is marked by increased school absenteeism and the yearly peak in visits to the pediatrician. Influenza has been implicated in hospital spread of infection and may complicate the original illness that required hospitalization. On a country or global basis, one or two predominant strains spread to create the annual epidemic. At present, influenza type A strains with the H1N1 and H3N2 serotypes and type B strains are cocirculating, and either type may be predominant in any one year, making predictions about the serotype and severity of the upcoming influenza season very difficult. Strain variants are identified by their hemagglutinin and neuraminidase serotypes, by the geographic area from which they were originally isolated, by their isolate number, and by year of isolation. 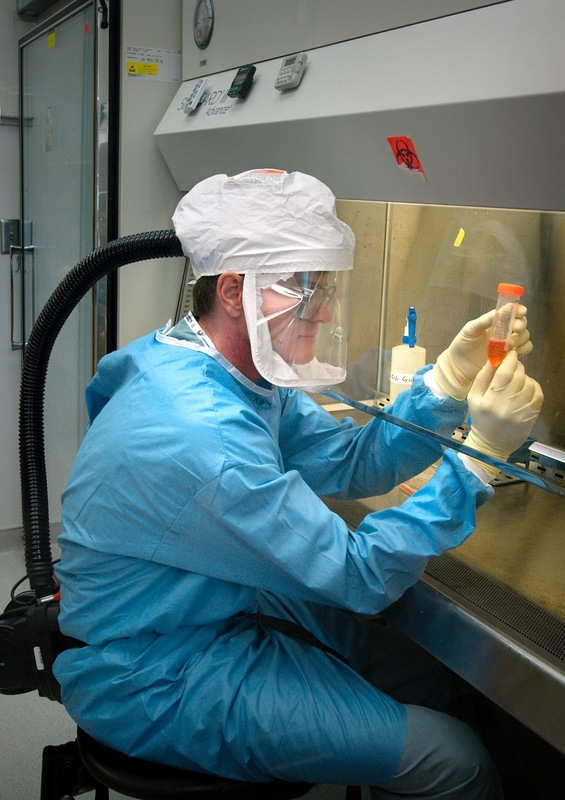 Thus, the current influenza vaccine for 1994–1995 is trivalent, having strains identified as A/Shangdong/9/93(H3N2), A/Texas/36/91(H1N1), and B/Panama/46/90. Influenza causes a lytic infection of the respiratory epithelium with loss of ciliary function, decreased mucus production, and desquamation of the epithelial layer. These changes permit secondary bacterial invasion either directly through the epithelium or, in the case of the middle ear space, through obstruction of the normal drainage through the eustachian tube. Influenza types A and B have been reported to cause myocarditis, and influenza type B can cause myositis. When influenza type B is accompanied by the administration of salicylates, the fatty liver, cerebral edema, and mitochondrial changes that are the hallmarks of Reye syndrome can be seen. The incubation period of influenza can be as short as 48–72 hr. The virus attaches to sialic acid residues on cells via the hemagglutinin and, via endocytosis, makes its way into vacuoles, where, with progressive acidification, there is fusion to the endosomal membrane and release of the viral RNA into the cytoplasm. The RNA is transported to the nucleus and transcribed. Newly synthesized RNA is returned to the cytoplasm and translated into proteins, which are transported to the cell membrane. This is followed by budding of virus through the cell membrane. The packaging mechanisms for the segmented genome are not well understood. A proteolytic cleavage of the hemagglutinin occurs at some point in the assembly and release of the virus which is essential for successful reinfection and amplification of virus titer. In humans, this replicative cycle is confined to the respiratory epithelium. With primary infection, virus replication continues for 10–14 days. Implicit in successful replication in the respiratory tract is the assumption that key proteolytic enzymes exist at this site. The successful cleavage of hemagglutinin has been demonstrated by respiratory secretions, but the cellular origin of the enzyme remains undefined. The exact immune mechanisms involved in termination of primary infection and protection against reinfection are not well understood. The extremely short incubation period of influenza and its growth on the mucosal surface pose particular problems for invoking a protective immune response. Antigen presentation must be primarily at mucosal sites acting through the bronchial associated lymphoid tract. The major humoral response is directed against the hemagglutinin and high serum antibody levels generated by inactivated vaccine correlate with protection. Mucosally produced immunoglobulin (Ig) A antibodies are presumably directed at the same antigenic sites and are thought to be the most effective and immediate response that can be generated to protect against influenza. Unfortunately, measurable IgA antibodies against influenza persist for a relatively short period, and symptomatic reinfection with influenza can be seen at intervals of 3–4 yr. Although heterotypic immunity can be demonstrated in the mouse through cell-mediated immune mechanisms directed toward common internal proteins, heterotypic immunity has not been shown in humans. Influenza types A and B cause predominantly a respiratory illness. The onset of illness is abrupt and is marked by coryza, conjunctivitis, pharyngitis, and dry cough. The predominant symptoms may localize anywhere in the respiratory tract, producing an isolated upper respiratory tract illness, croup, bronchiolitis, or pneumonia. More so than any of the other respiratory viruses, influenza is accompanied by systemic signs of high fever, myalgia, malaise, and headache. Many of these symptoms may be mediated through cytokine production by the respiratory tract epithelium instead of reflecting systemic spread of the virus. The typical duration of the febrile illness is 2–4 days. Cough may persist for longer periods of time, and evidence of small airway dysfunction is often found weeks later. Other family members or close contacts often have a similar illness. Influenza is a less distinct illness in younger children and infants, with manifestations that may be localized to any region of the respiratory tract. The children may be highly febrile and toxic in appearance, prompting a full diagnostic workup. In spite of the distinctive features of influenza, the illness is often indistinguishable from that caused by other respiratory viruses such as respiratory syncytial virus, parainfluenza virus, and adenovirus. The clinical laboratory abnormalities associated with influenza are nonspecific. A relative leukopenia is frequently seen. Chest radiographs show evidence of atelectasis or infiltrate in about 10% of children. The diagnosis of influenza depends on epidemiologic and clinical considerations. In the context of an epidemic, the clinical diagnosis of influenza in a young child with fever, malaise, and respiratory symptoms can be made with some certainty. The laboratory confirmation of influenza can be made in three ways. If seen early in the illness, virus can be isolated from the nasopharynx by inoculation of the specimen into embryonated eggs or a limited number of cell lines that support the growth of influenza. The presence of influenza in the culture is confirmed by hemadsorption, which depends on the capacity of the hemagglutinin to bind red cells. Rapid diagnostic tests for influenza A are being introduced that use antigen capture in an enzyme-linked immunosorbent assay format. The diagnosis can be confirmed serologically with acute and convalescent sera drawn around the time of illness and tested by hemagglutination inhibition. Otitis media and pneumonia are common complications of influenza in young children. Acute otitis media may be seen in up to 25% of cases of culture-documented influenza. Pneumonia accompanying influenza may be a primary viral process. An acute hemorrhagic pneumonia may be seen in the most severe cases, as may have been frequent with the highly virulent strain seen in 1918. The more common cause of pneumonia is probably secondary bacterial infection through the damaged epithelial layer. Unusual clinical manifestations of influenza include acute myositis seen with influenza type B, which follows the acute respiratory illness by 5–7 days and is marked by muscle weakness and pain, particularly in the thigh muscles, and myoglobinuria. Myocarditis also follows influenza, and toxic shock syndrome is associated with influenza type B and staphylococcal colonization. Influenza is particularly severe in children with underlying cardiopulmonary disease including congenital and acquired valvular disease, myocardiopathy, bronchopulmonary dysplasia, asthma, cystic fibrosis, and neuromuscular diseases affecting the accessory muscles of breathing. Virus is shed for longer periods of time in children receiving cancer chemotherapy and children with immunodeficiency. An inactivated influenza vaccine becomes available each summer with changes in formulation that reflect the strains anticipated to circulate in the coming year. When the vaccines are released, the American Committee on Immunization Practices publishes guidelines for their use. Current guidelines include the administration of vaccine intramuscularly to children 6 mo of age and older in chronic care facilities; those with chronic disorders of the pulmonary or cardiovascular system, including asthma; those with chronic metabolic diseases (including diabetes mellitus), renal dysfunction, hemoglobinopathies, or immunosuppression (including immunosuppression caused by medications); and children receiving long-term aspirin therapy who may be at risk for Reye syndrome after influenza. In addition, vaccine is recommended for individuals who may transmit influenza to persons at high risk, including health care workers and household members. The split-virus vaccine is recommended for children younger than 12 yr. Two doses of vaccine are recommended for primary immunization of children younger than 8 yr. The dosage is divided in half to a volume of 0.25 mL for children younger than 3 yr. Live, attenuated intranasally administered vaccines are in clinical trials and have been demonstrated to have an efficacy comparable to that of inactivated vaccine. Their ease of administration could serve to increase their use. Amantadine hydrochloride is the only licensed antiviral drug for influenza type A. It has been used prophylactically in high-risk patients and their care providers during influenza epidemics and in immunodeficient persons and those for whom the influenza vaccine is contraindicated. TREATMENT. Amantadine hydrochloride can be used in the control of influenza type A outbreaks, in institutions, and for therapy in individual cases. If given within the first 48 hr, it decreases the severity and duration of influenzal symptoms. Confusion and inability to concentrate or sleep are seen in a minority of people given amantadine hydrochloride. Drug resistance develops fairly quickly during a course of therapy, but it is not widespread among circulating viruses. Because amantadine hydrochloride has no efficacy against influenza type B, knowledge of the circulating strain is essential to the rational use of the drug. Adequate fluid intake and rest are important components in the management of influenza. Non-salicylate-containing antipyretics can be used for high fever. The most difficult question is the appropriate timing of consultation with a health care provider. Bacterial superinfections are common, and antibiotic therapy should be administered. Bacterial superinfections should be suspected with recrudescence of fever, prolonged fever, or deterioration in clinical status. With uncomplicated influenza, children should feel at their worst over the 1st 48 hr. The prognosis for recovery is excellent although full return to normal levels of activity and freedom from cough usually requires weeks rather than days.